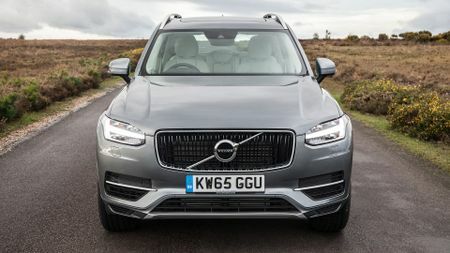 The diesel-engined XC90 will suit more people, but for a certain group of drivers – and company car drivers in particular – the low CO2 emissions and consequently low tax liabilities will make this smooth and refined SUV a really attractive proposition. 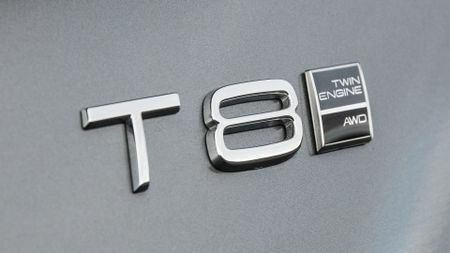 The T8 is the third drivetrain to be offered in the XC90 range after the D5 diesel and the T6 petrol. The ‘Twin engine’ T8 combines that 316bhp T6 engine with an 80bhp electric motor to give a combined output of almost 400bhp and a 0-62mph time of 5.6 seconds – although the most interesting figure may well be the 49g/km CO2 emissions, which bring some very attractive financial benefits, including exemption from the London congestion charge. Like the rest of the XC90 range, the T8 has four-wheel drive – but the drive is split between the two sources: the petrol engine drives the front wheels, while the electric motor drives the rear wheels. As a result, in everyday motoring, the car can run in any configuration – front-, rear- or four-wheel drive – with the system choosing the most appropriate setting depending on the on the drive mode selected and the conditions at the time. Like the big-selling Mitsubishi Outlander PHEV, the T8 is a plug-in hybrid, and it has a range of just under 30 miles on electric power, with a full charge from empty taking as little as two-and-a-half hours from a fast-charger, or six hours from a domestic three-pin socket. Like the rest of the range, the T8 is available with three trim levels – Momentum, Inscription and R-Design – with prices starting at £60,455, some £14,000 more than the equivalent D5 diesel-engined model. 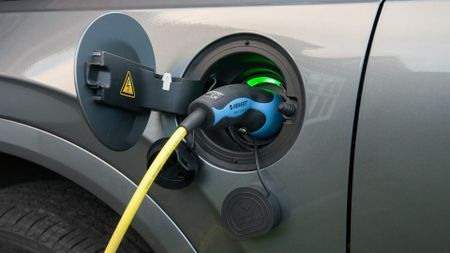 This entry-level model will be the only one to qualify for the government’s £2500 Plug-in car grant once the new rules are introduced in March, but our first experience came in the range-topping Inscription model, which costs £64,150. Well, if you’ll excuse us being a little flippant, the T8 is very like an XC90. Or, in other words, there are no great sacrifices to be made for choosing the hybrid version rather than one of the more conventional models. 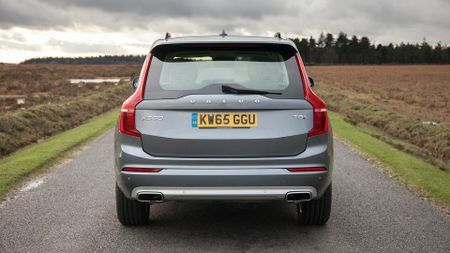 Indeed, you’d have to be a real XC90-geek to spot the differences visually – which extend to little more than some very small badges on the bootlid and the extra filler flap to plug in the charge cable. Inside, too, you get the same beautifully built and luxuriously appointed seven-seat cabin that you do in other XC90s. In fact, it's all the more attractive, as the panoramic sunroof – which floods the cabin with light – is standard on T8 models. The only other tell-tale signs that you’re in a hybrid are the slightly different dials and a crystal gear selector, just ahead of a rotating selector that allows you choose from the six different operating modes for the hybrid system. It’s only when you start the car – using the same switch as in a D5 or T6 model – that you really start to see the differences. The dials spring into life, with the needle sweeping back and forth before the word ‘READY’ appears and you can snick the gear selector into D.
The T8 starts in all-electric mode, so the first few yards are always a silent affair, but the beauty of this version of the XC90 is that that situation never really changes. Even when you floor the accelerator pedal, bringing the petrol engine into action, there’s not really much noise. Yes, of course, you can hear the engine, but it’s not too intrusive or unpleasant; and, besides, the car is so quick that you only ever need brief bursts of full acceleration before you put your driving licence in mortal danger. Indeed, what impresses you about the T8 is not just how quick it is, but how effortlessly quick it is. Because the electric motor gives you its full strength as soon as you ask for it, the T8 responds really quickly. Whatever you’re doing, you never have to work the car too hard: wafting around town is a delightfully smooth and easy experience; there’s never a problem keeping up with traffic – or overtaking the dawdlers – across country; and, so refined is the car at motorway speeds, you feel you more than prepared to tackle hundreds of miles behind the wheel. In general, the car juggles its two power sources imperceptibly; and, given, the overall high levels of refinement, you can’t even hear what’s going on, let alone feel it. The exception comes if you’re a little rough with the throttle or constantly backing coming on and off the power – across country, for instance – but that’s such a rare occurrence that it’s not really an issue. Or, put it this way, if you find the T8 rough, you’re not a smooth driver, so it's your fault. 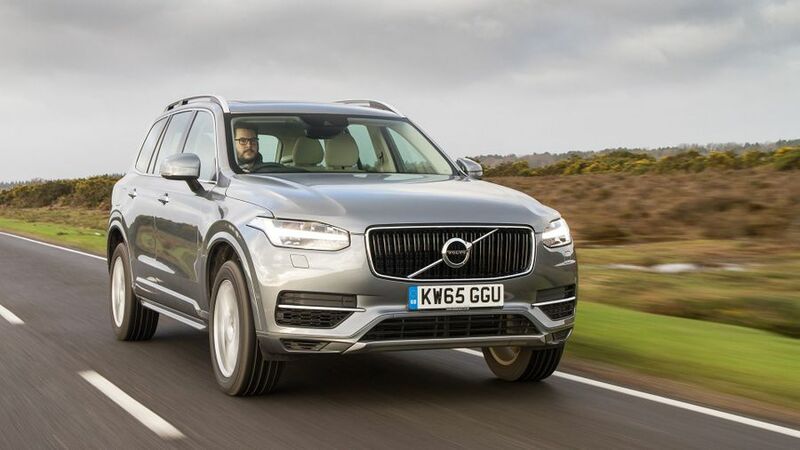 Otherwise, the T8 drives very much like any other XC90 – which is A Good Thing. 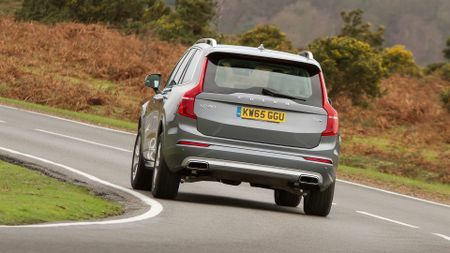 Our only caveat is that we think the optional air suspension fitted to our test car is money well spent: it gives the XC90 a slightly smoother, more comfortable step, especially around town. 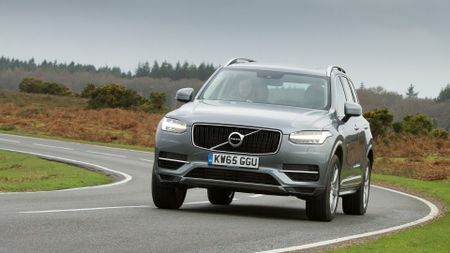 As in the other XC90 models, it soaks up crests and bumps with ease, while the T8 model handles well, with good grip and a properly planted, sure-footed feel through the bends. There’s no doubt that the XC90 is one of the very best seven-seat SUVs, but whether the T8 is the one for you depends very much on your motoring lifestyle and what sort of a buyer you are. Company car buyers, in particular, will love it. Despite costing much more than the conventional-engined XC90s, the T8’s considerably lower tax costs will make it hugely attractive – as long as the company accountant will stretch to a T8 in the first place. Private buyers, on the other hand, will really reap the rewards if they spend much of their life in town, where they can easily recharge the car and only rarely need to travel further than the 27-mile all-electric range. But, if you regularly travel longer distances, the T8 probably isn’t for you. Truth be told, the D5 will suit more people than the T8, but the hybrid will still be the perfect solution for some buyers.